Inspired by the generosity of spirit that is characteristic of Mexican culture, we share a generous, caring spirit with our guests, with each other and with our suppliers. We hail from spectacularly different walks of life. We are women. We are Mexican, Filipino, Singaporean, Guatemalan, Midwestern. We are fathers, sons and husbands. We are artists and mothers and bakers and beekeepers. We are teachers and students. We are immigrants. We love to eat. We love to cook. We love getting things just right. We love to share the gifts of Mexico with you. 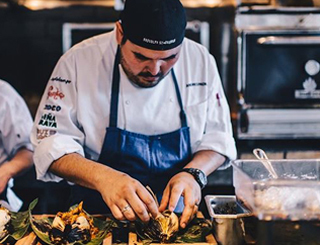 A native of New Mexico, Chef Andres Padilla began his culinary career with an internship at Pappadeaux Seafood Kitchen, where the whole-fish, high-volume restaurant experience would prove invaluable. 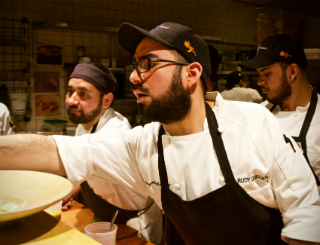 After stints as sous chefs in professional kitchens in the southwest, he moved to Chicago to take a sous chef job cooking Latin fusion-type food. 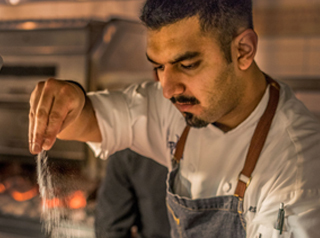 He was offered the sous chef position at Topolobampo in 2008 and quickly established himself as an emerging talent with daring, bold and elegant dishes. 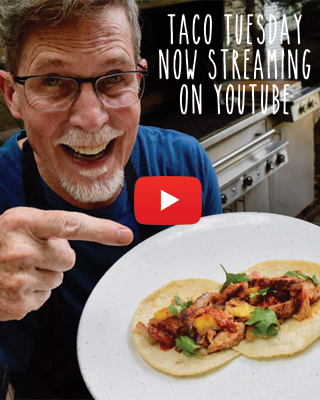 Now the culinary director for Chef Rick Bayless’ restaurant group, he’s in charge of creating distinct Mexican menus, both rustic and refined. 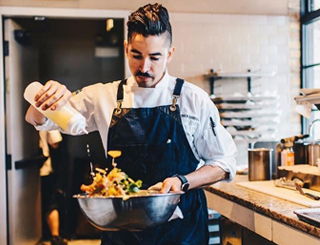 By day, Chef Andres can be found leading staff education sessions, where he delights the front and back of the house with whole animal butchery demonstrations and in-depth chile classes. 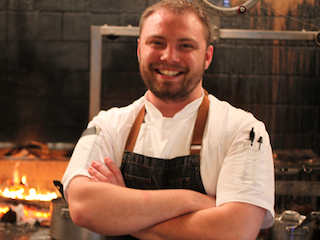 By night, he’s expediting dishes at the live fire kitchens of Leña Brava. 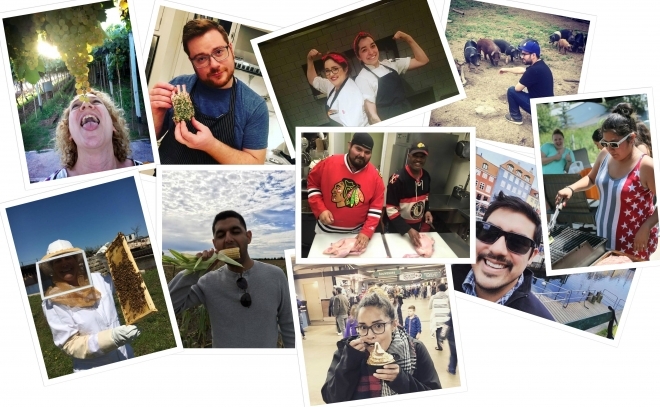 He was named partner of Bayless’ restaurant group in 2016, the same year he claimed the crown of Cochon Heritage BBQ in Chicago with dishes like a mouthwatering Pickled Pig Trotter Tostadas and soul-satisfying Chicharrón Guisado in Tomatillo Sauce. He lives on Chicago’s northwest side with his wife and two children and still loves a good hatch chile from New Mexico. The challenge issued to Jill in 2001 was brief but not simple: break the beer and margarita mold. Since then she’s traveled to the world’s best wine regions and industry summits, always returning with a wealth of knowledge (and some seriously great wine) to compliment our Mexican menus. Dining critics call her picks “unerring” and “spot-on.” Jill just calls them another fun day at work. Lanie Bayless wasn’t technically born in our restaurants, but she was definitely raised in them. 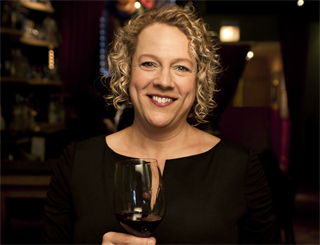 After spending many years in working some of New York City’s best hospitality groups and culinary organizations (while pursuing her many other interests), Lanie rejoined the Frontera family in 2016 with the opening of Leña Brava and loves being back in Chicago, where she lives with her husband, Kevin Sullivan. Her many trips to Oaxaca (her favorite place in the world!) 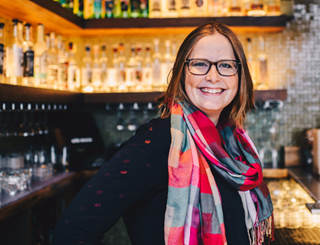 inspired her love of all things mezcal, and eventually led her to role as spirits director for Frontera restaurants, where she develops all of those killer cocktails on our menus. 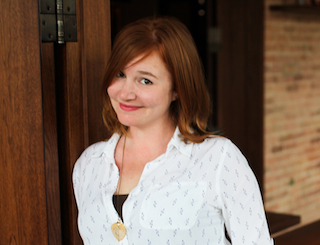 If there’s one thing Dana Armon loves more than going to parties, it’s planning parties. Together with our Private Events Culinary Team, she’ll seamlessly create your perfect event in the The Library—Rick’s private test kitchen that contains his personal cookbook collection—or the Morales Room, filled with art work from Mexican master Rodolfo Morales. Looking to bring the fiesta home? She can help with that, too. Melanie arrives at Frontera from our friends at the Chicago Athletic Association. 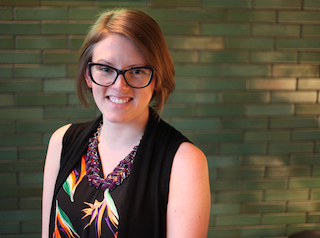 As our assistant general manager, she’s a bridge between all of the groups that make Frontera go. Also, Melanie actually knows how to ride ponies — a skill suitable for the hospitality industry? We shall see. 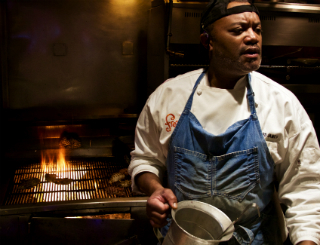 CHEF DE CUISINE Richard has been cooking at Frontera Grill for longer than he can remember (though we’re pretty sure he started here in 1993). 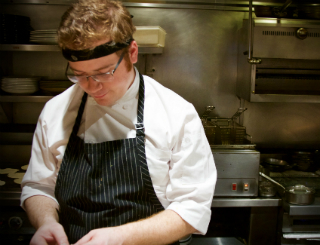 In that time he’s moved from grill cook to sous chef, then to chef de cuisine. Along the way he also dated—and then married—a coworker and mastered the art of addictive enfrijoladas. Lisa is a longtime presence in the kitchens of Frontera, Topolo and our wood-fired friends at Leña Brava. A dedicated student — and teacher — of regional Mexican cuisine, she knows how to prepare great food, whether it’s rustic or refined. 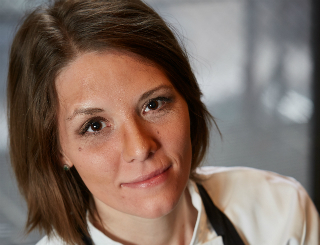 A native New Yorker, Elissa Narow comes to the Frontera with a wealth of experience as pastry chef in some of Chicago’s top restaurants, including Blackbird, Spring, Perennial Virant and Vie. When she’s not painstakingly creating her next pastry masterpiece, Elissa can be found strolling the Lake Michigan shoreline, stretching in a pilates studio or reading historical fiction. 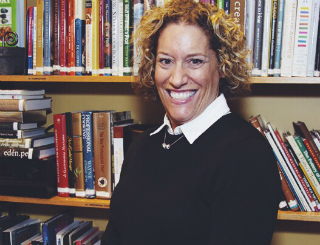 For about a decade, she has served as the chef chair of Share Our Strength’s “Taste of the Nation” fundraiser, which aims to end childhood hunger. Thanks to an after-school cooking class, Jennifer knew from a young age that she wanted to be a pastry chef. After attending Washburne Culinary Institute, she interned at Blackbird and then landed with the Frontera family, where she continues to dazzle with after-dinner delights. Jeff came to Topolobampo after a long tenure at Chicago’s Berghoff restaurant. He has a knack for building a high-functioning team from a group of talented individuals, and he’s passionate about food and beverage pairings. Both of these traits found a welcome home at Topolo. When he’s not working, you can usually find Jeff reading a good book. 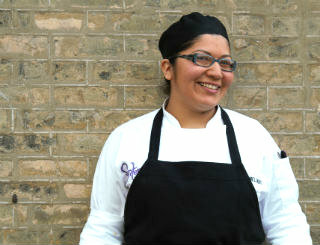 Adriana is a Frontera veteran, with us since the hectic opening of XOCO back in 2009. Ever since then, Adriana, a mother of four girls, has been a calming presence on our staff. She says her greatest strength is her familiarity with her longtime colleagues. Rishi’s journey to the Library at Topolobampo begins in Singapore, where a night out eating Mexican food was indeed a rare treat. Those new flavors were enough to spark his culinary curiosity, and he set off to work in high-end kitchens in the south of France and his native Singapore. After graduating from the CIA Singapore and interning at Frontera, he now leads our private events team, dazzling party guests with his ever-changing menus. 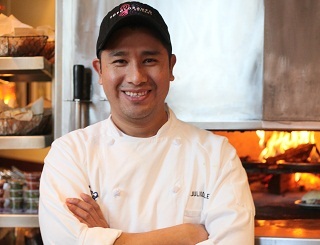 A father of three, Julio previously worked on the line at Topolobampo and later as sous chef at Frontera Grill. 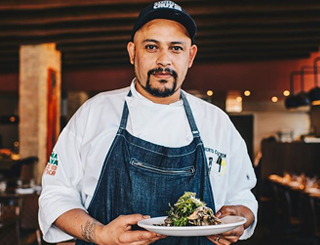 In 2015, Chef Julio celebrated 10 years with the Frontera family and was named the chef of Xoco! 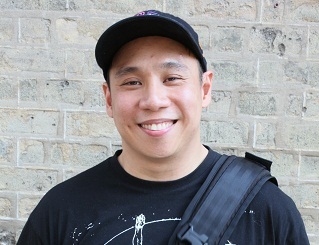 Kristopher started helping out in his family’s restaurant in the Philippines at a young age. In Chicago, he earned a culinary degree from the Art Institute and worked for Chef Takashi. 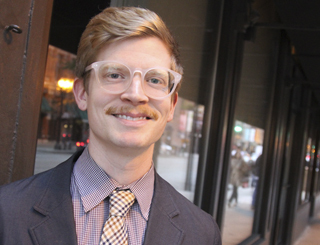 Now, he’s a inspirational tour de force at Xoco. 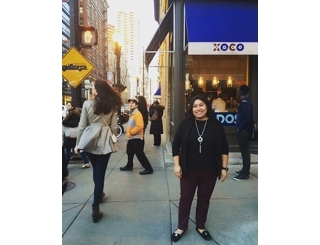 At Xoco, Maria found two of her life’s great loves: her husband Baker and amazing Mexican food. Maria started working here in 2009 and took over as manager in 2016. 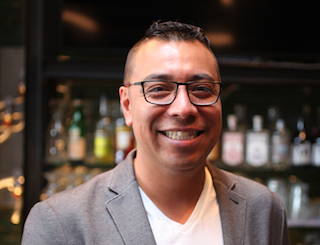 Cesar has built his passion and creativity for mixology (and beer, of course) while running a few of Chicago’s top bar programs, such as Mercadito. He understands how welcoming hospitality, and setting the ‘just right’ mood, are equally as important as the ingredients in the glass. At Cruz Blanca, Cesar has introduced more local spirits for fresh cocktails that compliment Jacob’s amazing beers. 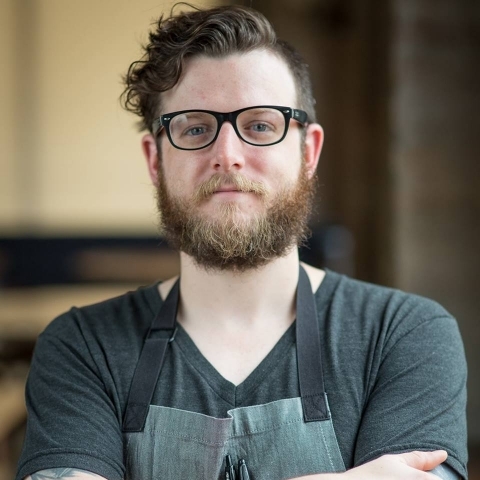 Hailing from Austin, Texas, Jacob is a former fast-food cook, cheesemonger, line cook and sous chef in various snout-to-tail restaurants. 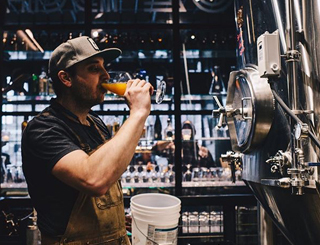 After leaving The Bristol in Chicago, where he worked as a cook, Jacob began brewing beer at Goose Island Clybourn and became the head brewer. 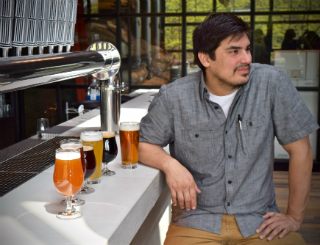 At Cruz Blanca, he says his responsibility is creating beer with a meaning and an inspiration behind it. Born and raised in Chicago, Chef Iliana is inspired by the bounty of seasonal produce and locally raised protein to be found in the Midwest — and utilized in new ways to create Mexican dishes. 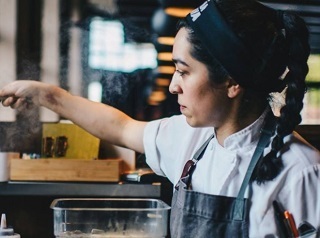 Following in the footsteps of her father, who also cooked on the line and now runs a pasta shop, Chef Iliana has been preparing for this role her entire life. Stephen has worked around the world from New Orleans to Mexico City to Argentina but is rooted by his childhood in San Diego. His father owned a car wash in Tijuana and they would go hunting together in Mexicali. Stephen has been braving Leña’s roaring fire with a GoPro camera, filming his day to day culinary adventures. Roberto joins us after several years with the BOKA Restaurant Group, more specifically our delicious neighbor Little Goat. Prior to that, Roberto was at Frontera Grill and Topolobampo for more than a decade! We are super excited to welcome Chef Roberto back! As a young man in Kentucky, Chef Chris got a taste for fine dining at his first restaurant job, working in the kitchen at Louisville’s legendary Jack Fry’s. At an even younger age, picking fruit from his grandma’s apple and pear trees, and watching as she baked homemade pies, Chris found his love for pastry. MANAGER Cruz Blanca is the third local dining institution that Linnea has helmed. She previously worked with Jacob and Lisa at Goose Island Brewpub, cultivating her love of beer and hospitality. Linnea’s very first job was at Chicago’s own Potbelly Sandwich Works: that’s where she began her studies in deliciousness. Originally from St.Louis, I began working in the industry at 14. Cooking led me to my love of food and beverage pairing. My recent history includes Purple Pig, Duck Duck Goat and Swift and Sons. My favorite part of restaurants is the family we work with daily. 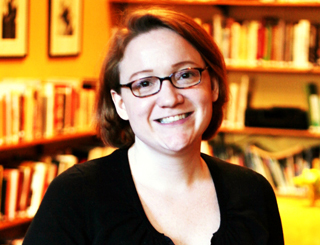 MANAGER & PRIVATE EVENTS Lisa literally grew up in a bed & breakfast, so hospitality has always been part of her life. 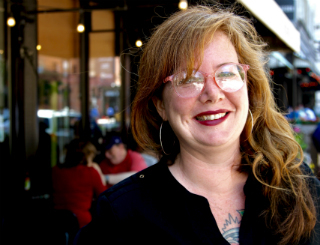 She’s a huge supporter of Chicago’s craft beer community — she spent years managing Goose Island’s Clybourn Brewpub — and it’s her mission to introduce the city to the magical pairing of Bieres de Garde and Oaxacan tacos.